This paper details our effort in determining how technological advancement facilitates business relationship and ameliorates the competitive advantage of supply network. 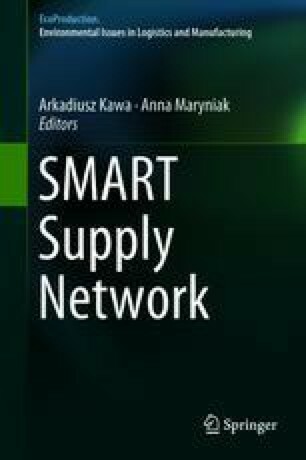 Using business network management literature, current knowledge employs Activity-Resource-Actor Model (ARAM) to recap the drivers, opportunities, and challenges of smart technologies in a supply network. The following discussions reveal that in presence of technological advancement, precise knowledge sharing, stronger social co-creation, smart management, and robust legal system, business relationship and supplier collaboration can benefit from a sustainable, modern, adaptive, robust, and technology-oriented activity links, resource ties, and actor bonds, per se, smart supply network. The paper confirms that digital-linked activities empower businesses and help them gain more from interdependencies benefits. Digital-linked resources enhance heterogeneity advantage, while digital-bonded actors are obtained from transcendence. The benefits derived from digitizing activity links, resource ties, and an actor bond is reliant upon a company’s own activity structure, interdependencies, and connectedness. However, the challenges of direct/indirect relationship costs prevent companies benefiting from a smart supply network. La Rocca, A., Perna, A. Snehota, I., & Ciabuschi, F. (2017). The role of supplier relationships in the development of new business ventures. Industrial Marketing Management (December 2015), 1–11. http://dx.doi.org/10.1016/j.indmarman.2017.12.008.